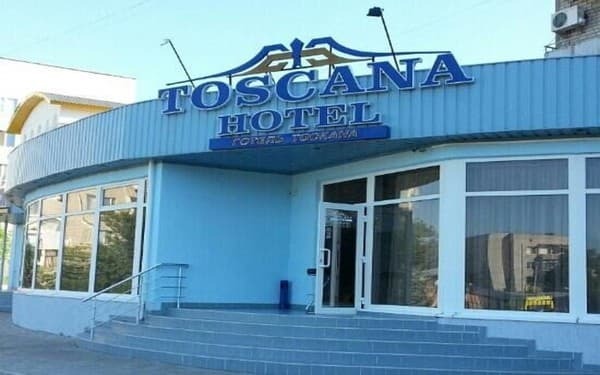 Hotel Tuscany is located 200 meters from the major highway that connects the Crimea with the capital city of Kiev and the western regions of Ukraine. "Tuscany" is a hotel complex of European level. 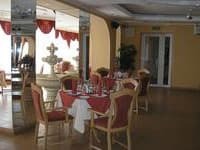 The location of the hotel is very convenient for tourists, as there is a guarded parking lot, a supermarket, shops, a pizzeria, a cafe, a recreation park. 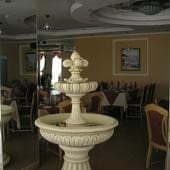 The hotel provides its visitors 30 comfortable rooms. All rooms are equipped with modern furniture, in all rooms separate bathrooms with bath accessories, with hot and cold water. For all customers of the hotel complex, free use of Wi-Fi is provided. 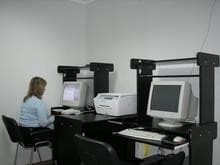 On the territory of the "Tuscany" complex there is a business center where you can not only work at a computer, but also conduct a small training seminar. The hall is designed for 20 people. On the territory of the complex there is a wellness complex with a sauna, a Turkish bath and a gym. The restaurant "Paradiso" is located in the hotel. The menu will surprise with delicious dishes of European and Ukrainian cuisine. 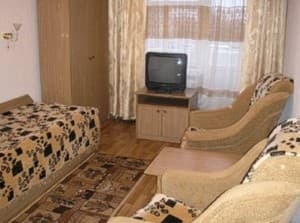 Description of the room: One-room single room, which contains everything you need: telephone, TV with cable TV. A shared bathroom with a bath, soap, shampoo. Description of the room: One-room double room with twin beds. 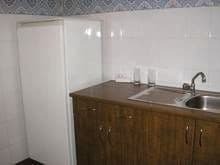 Description of the room: Triple room with kitchen. Description of the room: One-room double room with twin beds, kitchen and refrigerator. Description of the room: Room with a single bed and everything necessary. 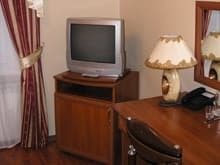 Description of the room: The room has a telephone, mini fridge, air conditioning, TV, cable TV. 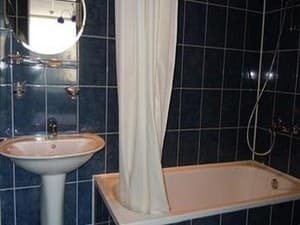 Bathroom with shower, soap, shampoo, hairdryer, slippers. 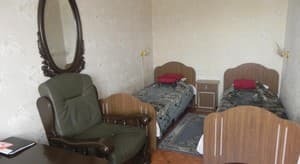 Description of the room: Double room: consists of a bedroom with a large bed and is equipped with a sitting area with leather furniture. There are also rooms with twin beds. Description of the room: Two-room suite with a room for rest. У деяких номерах холодно. Мало люксових номерів. Є номери, які потребують ремонту сантехніки і інших дрібничок. Хорошо прибранная 1-комнатная квартира. Идеальный вариант для командировочных. Переночевать в пути, самое то. Рядом дешевая охраняемая парковка. Свой неплохой ресторан. Не первый раз останавливаемся там. Пора хозяевам и о ремонте задуматься. Есть wifi, есть номера с кондиционерами (но не все). Убогий совок с убогими номерами и громким названием Тоскана. В ресторане с таким же громким названием Paradise нам сообщили что за то чтобы еду нам вынесли на улицу, нужно доплатить +20% от заказа, после чего мы оттуда ушли и поужинали в кафе в 200 метрах от гостиницы. Приехали ночью. 15 минут не могли достучаться в закрытые двери. Сонный администратор заявила, что забронированный мной номер уже занят. Были предложены два 2-х местных номера вместо одного трёхместного. Потребовали доплату 100 гривен. Таким образом непрофессионализм работников вылился нам в дополнительные затраты. Children in the rooms are free of charge. The cost of extra space is 40 UAH. You can order tomorrow for a fee. The cost of 75 UAH. 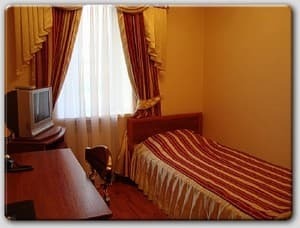 The hotel is located 200 meters from a major highway that connects the Crimea with the capital city of Kiev and the western regions of Ukraine. Being the most modern hotel in the city, "Tuscany" is popular both among business travelers and guests passing through the city in transit. The hotel is located at Stroiteley St., 14. On the road, the place of travel is indicated by the appropriate signposts. When entering the city from the side of Kiev - turn left after 200 m after refueling "WOG", at the entrance from Nikolaev - to the right after 200 m after the monument "Cannon". Upon request, the arrival of the masseur is organized. Massage is done in a specially equipped room. 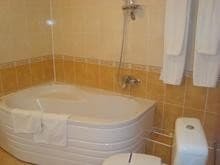 The turn to the hotel is located in the address area of ​​ul.Oktyabrskaya revolution, 208. If you go from Kiev, then left after 200 meters after the gas station WOG. If you go from the Crimea, from Nikolaev, then after the monument "Cannon" - to the right. Before the turns from both directions, there are appropriate signs.